Every year in November, a writing challenge is issued for potential novelists around the globe. This challenge is called National Novel Writing Month. Participating in National Novel Writing Month (NaNoWriMo) is the ultimate writing gauntlet that forces potential authors to push through procrastination, laziness, and lack of enthusiasm to birth a novel that is 50,000 words or more. Authors who take on this challenge are often faced with battling later nights and earlier mornings than usual. The great news is that it’s all to reach an amazing goal – a full novel written in one month! For some of us (myself included). it’s hard to find the time to start. After all, how do you convince yourself to sit down and tackle a full 50,000 words in a month (1,667 words per day)? It requires sitting still. It requires focus. Most of all, it requires a desire to do something new and different. So, why bother starting? Well, you’re a writer, and you’ve got a lot of words left in you! More importantly – how do you stay focused? You have to think about the end goal – winning! What do you get when you win NaNoWriMo? First Class Bragging Rights – Finishing a book is a big deal. Not everyone can remain dedicated and “crank out” a book in only 30 short days. Feelings of Pride – Imagine how proud you will be once you’ve finished writing your novel and can move on to publish it, share it with friends/family, or keep it as a “trophy” and evidence of your success. There it is in plain words – participation is possible. Setting a goal and achieving it is possible. All that it requires is a positive buy-in on your part. You have to make the first move. You have to take the first step. Even if you aren’t sure about where you will end up during NaNoWriMo this year, let us know where you are in the comments below. We’d love to hear from you (and cheer you on!). Leading self-publishing and book marketing service provider, Outskirts Press, announces sponsorship of National Novel Writing Month (NaNoWriMo) in November. Sponsorships help NaNoWriMo continue to offer valuable creative writing programs. Outskirts Press, the fastest-growing self-publishing and book marketing firm, is sponsoring the 2012 National Novel Writing Month, an annual worldwide writing challenge that takes place in November. National Novel Writing Month, or NaNoWriMo (nan-no-RYE-moe) for short, is an Internet-based creative writing project that challenges writers to pen 50,000 words from November 1 through November 30. The virtual event started in 1999 with fewer than two dozen writers and grew to more than 256,000 participants in 2011. Outskirts Press is an Inc. 5000 company that supports self-publishing authors with the tools they need to write, publish, publicize and distribute their works. Through sponsorship of NaNoWriMo, Outskirts Press will be helping the nonprofit NaNoWriMo continue to offer the annual event at no charge to participants. NaNoWriMo also funds creative education initiatives, such as the Young Writers Program, which brings free writing curricula, lesson plans, workbooks and more to tens of thousands of schoolchildren each year. While many participants in NaNoWriMo end their participation with the November 30 writing deadline, Outskirts Press can assist those who wish to take their efforts to the next step. NaNoWriMo participants are eligible for a 10% discount on the Diamond or Pearl publishing packages with the valid promotion code (NaNo12) when they choose to publish their book through Outskirts Press. In addition to publishing and distribution, Outskirts Press provides a wide range of services to authors, regardless of where they choose to publish their book. These services include editing, formatting, cover design, illustration, ebook publishing and much more. Learn more about self-publishing book marketing solutions by visiting Outskirts Press at http://outskirtspress.com/marketing. Don’t Wanna Go Slow? Give NaNoWriMo a Go! 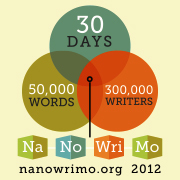 Tick-tock, tick-tock … Only two days til NaNoWriMo! Have you registered yet? National Novel Writing Month, or NaNoWriMo (nan-no-RYE-moe) for short, is an Internet-based creative writing project that challenges writers to pen 50,000 words in the month of November. The virtual event started in 1999 with fewer than two dozen writers and grew to an estimated 200,000-plus participants in 2010. As a sponsor of the 2012 NaNoWriMo, we at Outskirts Press are eager to get this month-long party started with record participation! Have you always wanted to write a novel? Are you currently a writer, but haven’t yet found the motivation to start your next project? Are you curious about what ideas might flow out of 30 days of intensive, stream-of-conscious creativity? With the event starting on November 1, there’s still time to register for the challenge of a lifetime, and even do some preliminary planning. Though the NaNoWriMo challenge is designed so that the entirety of your writing is done between November 1 and November 30, you can still do some prep work. Choose your topic. Outline your plot. Ask your friends and neighbors for feedback and suggestions. 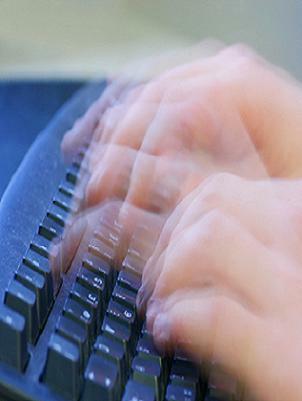 Then dust off your keyboard and get ready to hit the ground running on Thursday. Remember, in order to meet the NaNoWriMo goal of 50,000 in one scant month, count on averaging 1,667 words — roughly two hours of writing time — per day. Increase your daily weekday quota to 2,381 words if you plan to take weekends off. Start your participation in the 2012 NaNoWriMo by joining a regional group so you can communicate with other participants, spitball ideas, share tips and gather wisdom from those who’ve successfully completed the challenge before. Many seasoned NaNoWriMo authors have valuable input that can help you plan and execute your project. NaNoWriMo is a fantastic exercise for new authors to use as a kick-start to their writing efforts, or for experienced authors to loosen up and switch up to a more stream-of-consciousness style for a while — whatever gets the creative juices flowing. However, this month of crunch time can be more than a mere exercise. Many of the submissions to NaNoWriMo have gone on to get published! As a self-published author, the decision on whether to polish and publish your NaNoWriMo creation is solely in your hands.